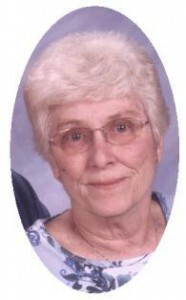 Carol A. Birkholz, 65, of East Norport Drive, Port Washington died peacefully at Horizon Hospice of Columbia St. Mary’s Hospital, Ozaukee Campus in Mequon on Thursday, May 3, 2012 after a brief stay. She was born on January 19, 1947, daughter of Harry and Eileen Bell Brabender in Port Washington, Wisconsin. A lifelong resident, Carol attended local schools, working at the former St. Alphonsus Hospital in Port Washington in the kitchen. She will be remembered for reciting the nightly prayers over the intercom of the hospital for all the patients during her shift. On November 16, 1968, she married Melvin L. “Mel” Birkholz of Cheeseville/Fredonia at St. Mary’s Catholic Church in Port Washington. Early on, she was a waitress and bartender at the former D&G Club in Port Washington. She worked many years at the former PCM/Koehring/Trac Industries of Port Washington as a cost control clerk. Carol was a very social and out-going person. She enjoyed time spent with family and friends. Her nieces and nephews were near and dear to her heart. She enjoyed reading, playing cards and crossword puzzles. She was very active with her husband in the Port Washington Lions Club and its many functions. She provided great care to her sisters canine pal Molly who provided her with much needed care and comfort right back. She is survived by her husband Mel, her sister Karen (James) Lavora of Belgium, WI; nieces Shelly (Roy) Hartmann of Fredonia and Katie (Jake Bares) Cobbledick of Belgium, nephew Kyle Cobbledick of Sheboygan, sisters-in-law Nancy Birkholz of Grafton and Adrienne Birkholz of Rhinelander, other relatives and many friends. She is preceded in death by her parents, her nephew Shaun Cobbledick and two brothers-in-law Terry and Hal Birkholz. Mass of Christian Burial will be celebrated at 6PM Wednesday, May 9, 2012 at St. Mary Catholic Church, 430 N Johnson Street, Port Washington. Reverend Thomas Lijewski will be the celebrant. Visitation will be from 2:30-5:30PM Wednesday AT THE FUNERAL HOME with a 2:30PM Rosary. Interment will be in St. Mary’s Cemetery, Port Washington. Memorials to the Port Washington Food Pantry, 1800 N Wisconsin St., Port Washington; Wisconsin Lions Camp, 3834 County Hwy A., Rosholt, WI 54473 or the American Lung Association are appreciated.